A new strategy has been developed that cripples the ability of the dengue virus to escape the host immune system. STAR's Singapore Immunology Network (SIgN) made the breakthrough, which has opened the door of hope to what may become the world's first universal dengue vaccine candidate that can give full protection from all four serotypes of the dreadful virus. This research done in collaboration with Singapore's Novartis Institute of Tropical Diseases (NITD) and Beijing Institute of Microbiology and is also supported by Singapore STOP Dengue Translational and Clinical Research (TCR) Programme grant. Early studies have shown that a sufficiently weakened virus that is still strong enough to generate protective immune response offers the best hope for an effective vaccine. However, over the years of vaccine development, scientists have learnt that the path to finding a virus of appropriate strength is fraught with challenges. This hurdle is compounded by the complexity of the dengue virus. Even though there are only four different serotypes, the fairly high rates of mutation means the virus evolve constantly, and this contributes to the great diversity of the dengue viruses circulating globally. 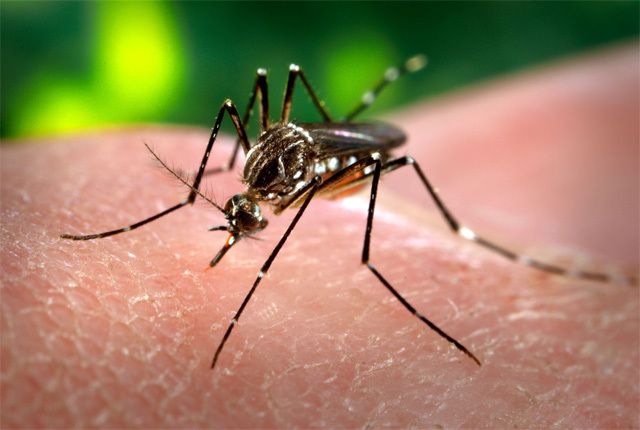 Furthermore, in some cases, the immune response developed following infection by one of the four dengue viruses appears to increase the risk of severe dengue when the same individual is infected with any of the remaining three viruses. The new strategy uncovered in this study overcomes the prevailing challenges of vaccine development by tackling the virus' ability to 'hide' from the host immune system. Dengue virus requires the enzyme called MTase (also known as 2'-O-methyltransferase) to chemically modify its genetic material to escape detection. In this study, the researchers discovered that by introducing a genetic mutation to deactivate the MTase enzyme of the virus, initial cells infected by the weakened MTase mutant virus is immediately recognised as foreign. As a result, the desired outcome of a strong protective immune response is triggered yet at the same time the mutant virus hardly has a chance to spread in the host. Animal models immunised with the weakened MTase mutant virus were fully protected from a challenge with the normal dengue virus. The researchers went on to demonstrate that the MTase mutant dengue virus cannot infect Aedes mosquitoes. This means that the mutated virus is unable to replicate in the mosquito, and will not be able to spread through mosquitoes into our natural environment. Taken together, the results confirmed that MTase mutant dengue virus is potentially a safe vaccine approach for developing a universal dengue vaccine that protects from all four serotypes. The team leader, Dr Katja Fink from SIgN said that there is still no clinically approved vaccine or specific treatment available for dengue, so we are very encouraged by the positive results with this novel vaccine strategy. The findings have been published in the PlosPathogens journal.